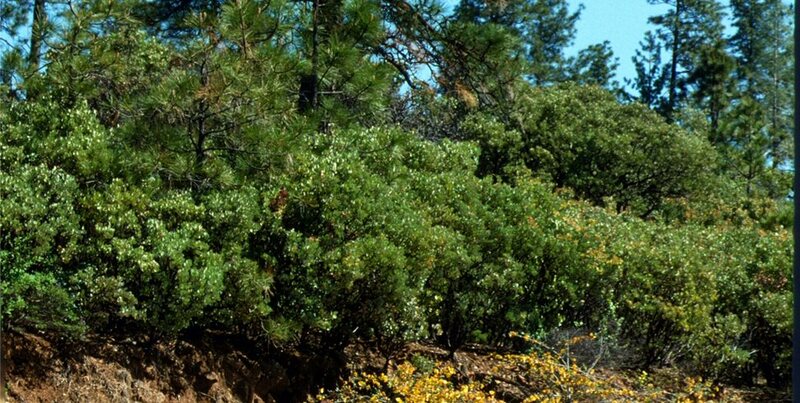 This is the most dangerous plant community composed of pines and a dense understory of flammable woody shrubs. 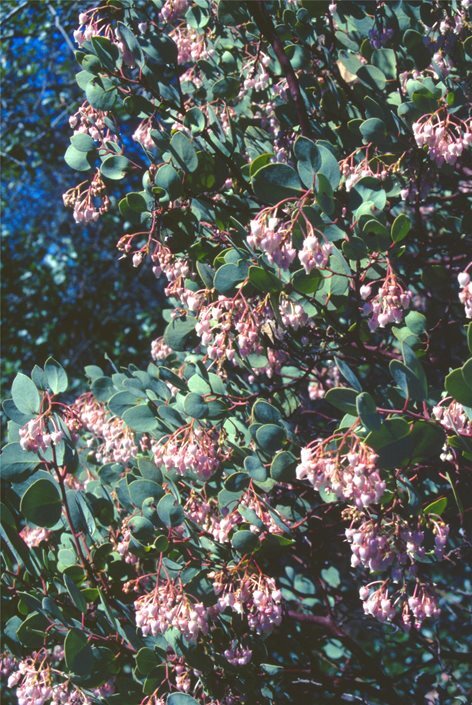 In dry regions of the west, shrubs such as manzanita contain high levels of volatile oils in foliage and wood, making them burn hot and long. 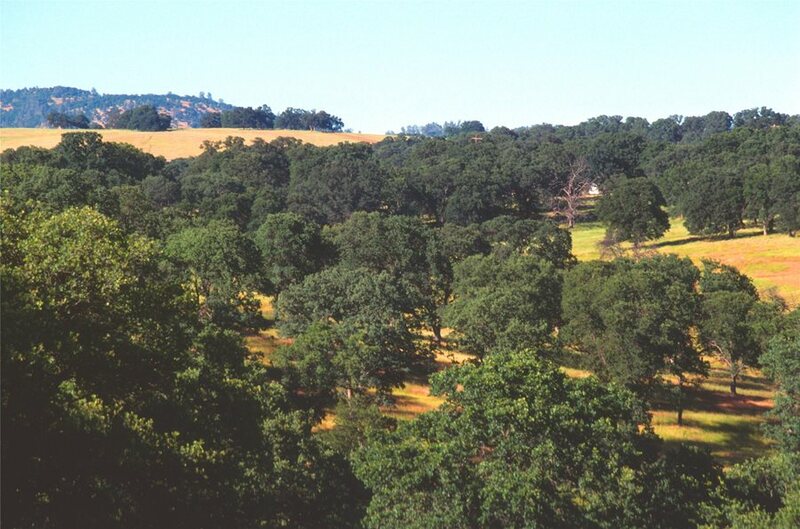 In grassland ecosystems such as this, a ground fire can move through so quickly the oaks may not be destroyed. The massive scale of wildfire flames can be appreciated in this view of city lights. The remnants of burned out shrubs illustrate how much fuel was available for this fire in brushy plant communities. Firefighters know flames race up the hill but will pause at the top where they will take a stand. 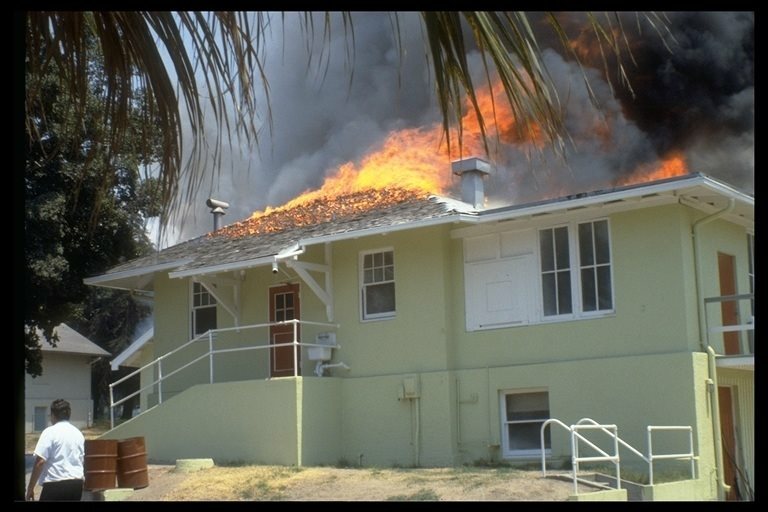 Many regions that were free of wildfire in the past found shake roofing acceptible, but as drought can cause fires in these areas, such homes easily burn. This truck is nearly invisible within the brushy ecosystem that can cause some of the greatest losses to equipment, homes and human life. 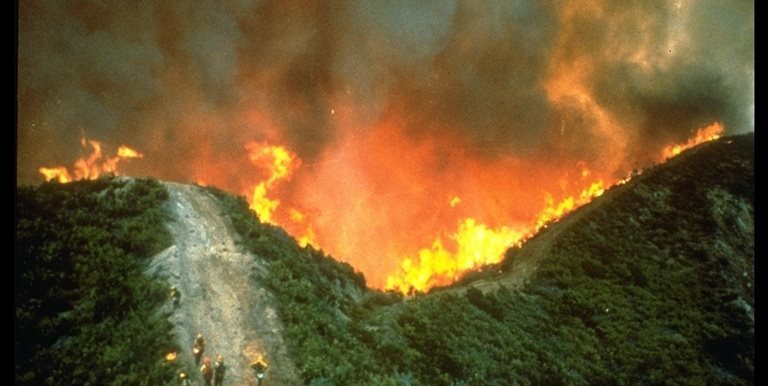 The urban-wildland interface is a term used to describe high fire hazard zones in rural subdivisions where lots range from a quarter acre to twenty. 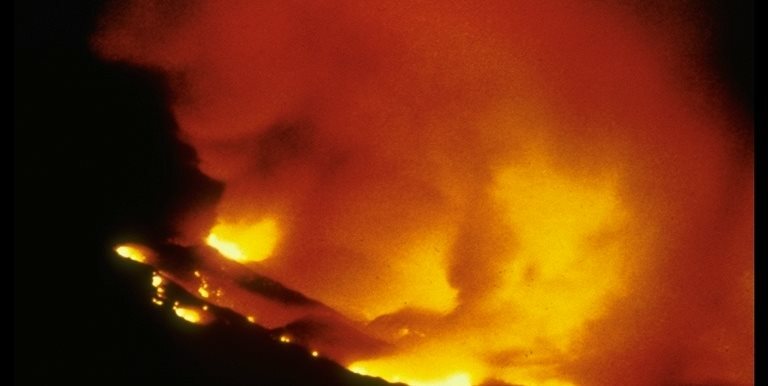 These are where some of the most damaging wildfires occur. 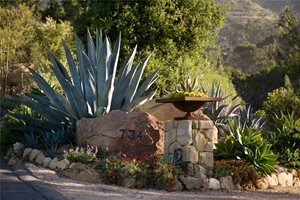 Therefore, residents in these areas must not only understand how wildfire threatens a home, but how to reduce its vulnerability through appropriate landscape design. 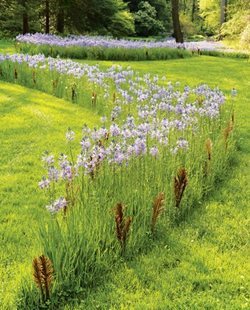 Homes exist within communities of native plants composed of different trees, shrubs, grasses and wildflowers. The areas with more trees and shrubs are vulnerable to forest fires that burn hot and long due to all the woody fuel that accumulates there. 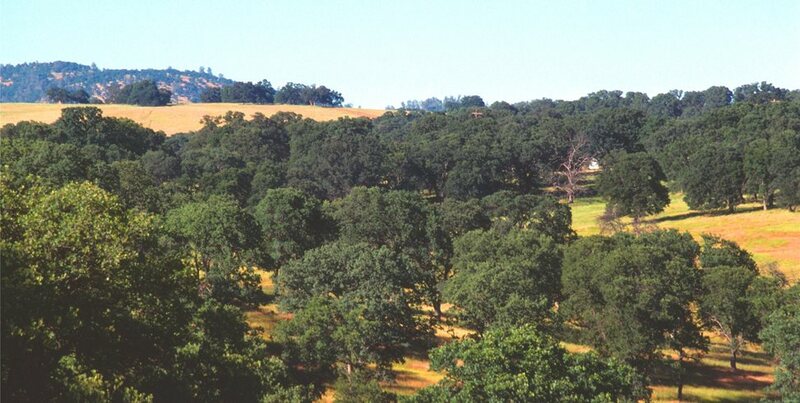 More pastoral regions such as oak woodlands and prairie are primarily composed of grasses, that when dry present fine flashy fuels that easily ignite. These fires move very quickly across the land, but the blaze lasts for a much shorter period, the burn of a lower intensity. 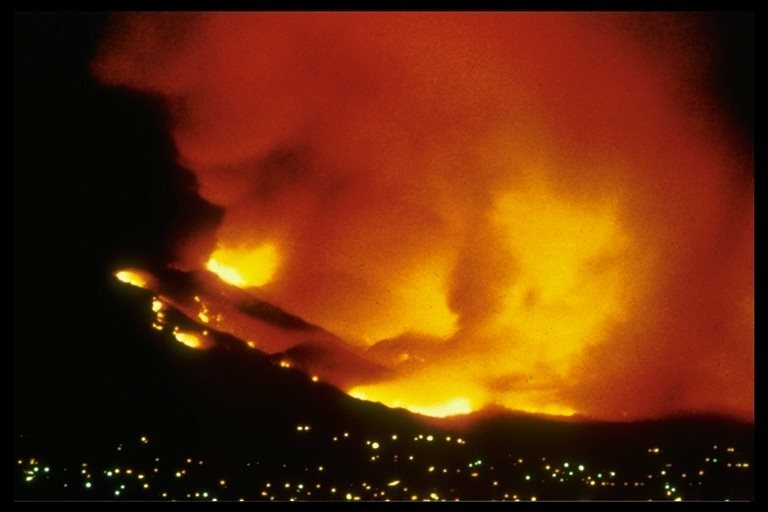 Some of America's worst wildfire disasters occur where the topography is irregular, composed of hills and mountains with deep, steep-walled canyons that limit accessibility. Homes located on such terrain are at high risk because roads are limited and steep slopes prevent heavy equipment use. 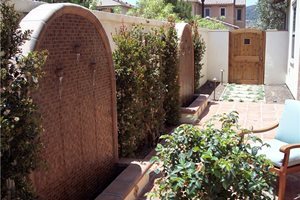 The landscaping should be specifically designed to reduce vulnerability on all levels. 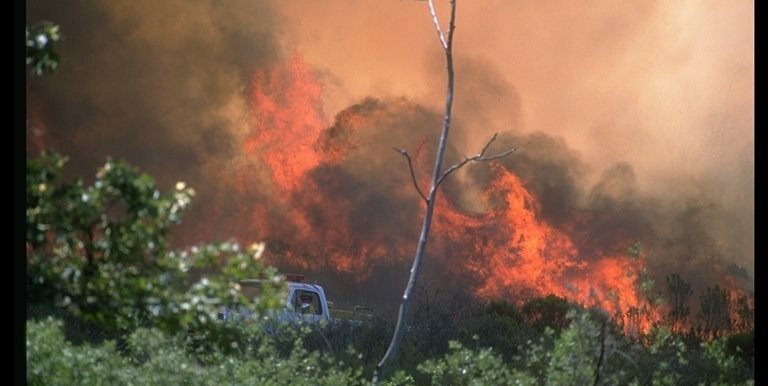 Fire moves on land like water, only in reverse. 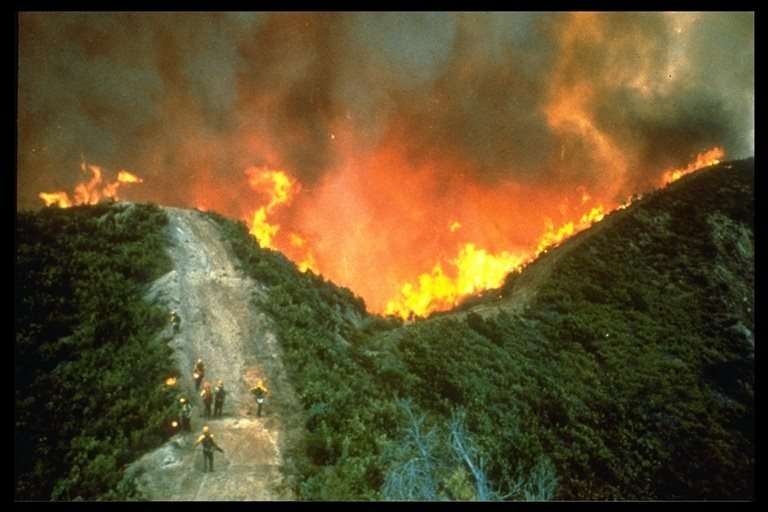 While water flows down slope to collect at the bottom, fire grows stronger at the base of a slope and then rages upward. As it does rising heat and smoke literally cook a house to the point where it catches fire long before the flames arrive. If you are living on a slope in a cut and fill home or are perched at the top edge, consider your downhill side the most vulnerable. That is where the fire will likely come from. 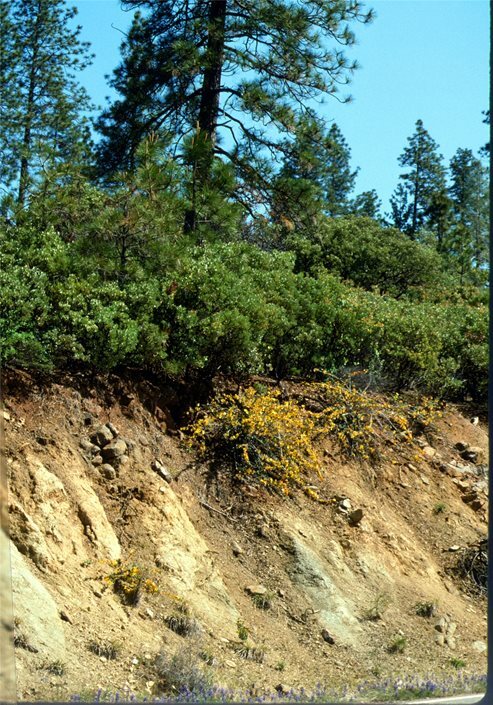 Native vegetation or aging erosion control planting on that slope will make your home highly vulnerable if it is not managed to reduce the amount of available fuel. Homes in forest ecosystems, particularly where pines are the primary tree type, may be most vulnerable to a crown fire. This is where fire ignites the canopy of a tree well above the ground and winds drive the flames to the next tree canopy and so on down the line. Crown fires can move very quickly through a stand of trees for an easy leap to the nearest roof. There is always the risk that embers from the crown fire above will drop down to the accumulated duff layer of needles and leaves on the forest floor. They can also fall upon roofs and rain gutters covered in similar flammable litter. 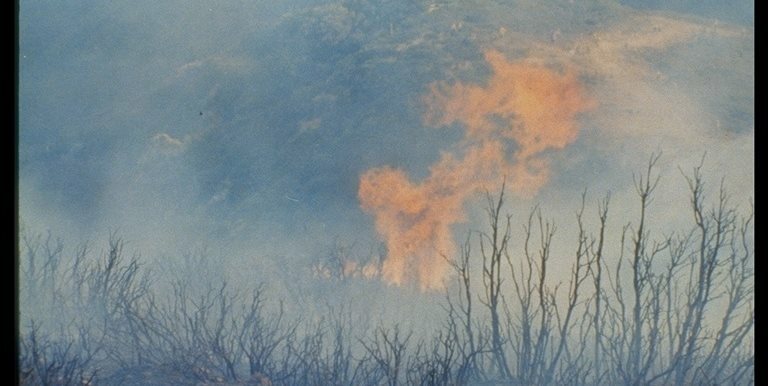 Fire that travels through shrubs and grasses is a ground fire. With grassy fuel, fire can move quickly through your homesite without remaining long enough to ignite your home. But where plants are located at the base of the house walls, these become the stepping stone to ignition. 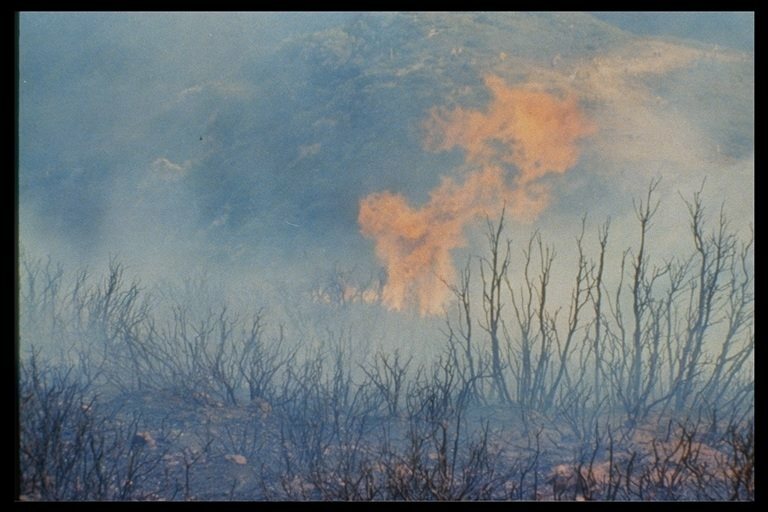 When the ground fire also involves tall shrubs, both native and ornamental, it heats up, flames are taller and more difficult to put out, and more long lived embers are released. A wildfire can only travel where there is sufficient fuel for it to feed upon. Interrupt this continuity of fuel with a fire break, a driveway or just barren ground and the fire stops short. This is where firefighters will make their stand. Every homesite in high fire hazard zones should be viewed as is for potential corridors of fuel that could invite the fire to come in close. This corridor could be continuity of tree canopies or uninterrupted grasslands left long during fire season. 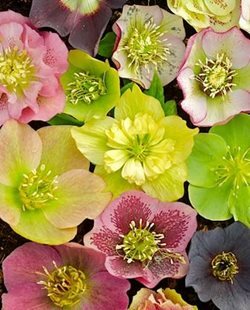 The rule of thumb states: The height of a flame will be roughly twice the height of the plant when burning. This makes it easy to visualize your homesite in the event of a wildfire. 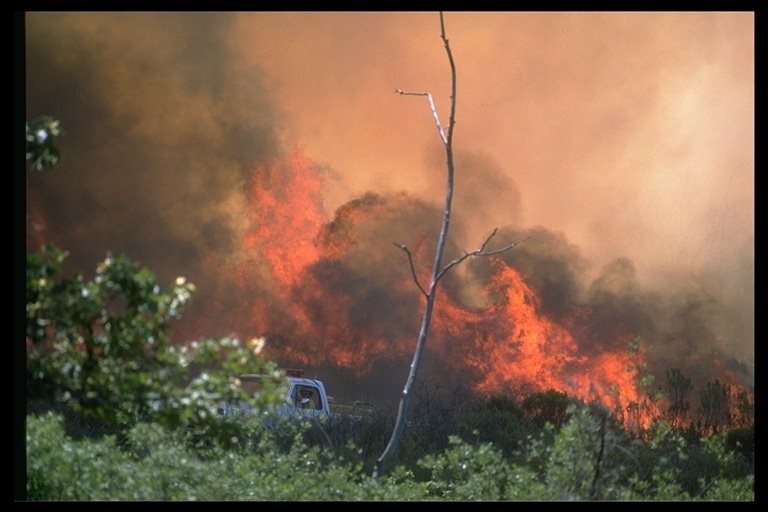 Large shrubs present tall flames that are not only difficult to put out, they become a linking element for the fire. This medium height fuel connects a ground fire to tree canopies, and a crown fire to the ground fuels. 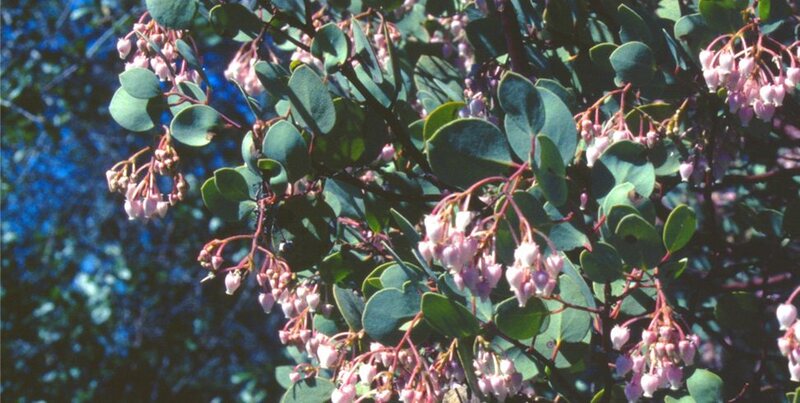 Native plants such as redbud and Manzanita are notorious for linking layers of fire to create impenetrable walls of flame. 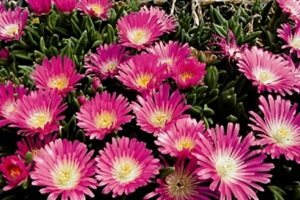 Many homes have been lost because they sit in a volatile mass of native or landscape plants. Fire fighters had no hope of protecting them. The inability to get close enough to the structure can also be due to the way a cliff-hanger home is constructed. 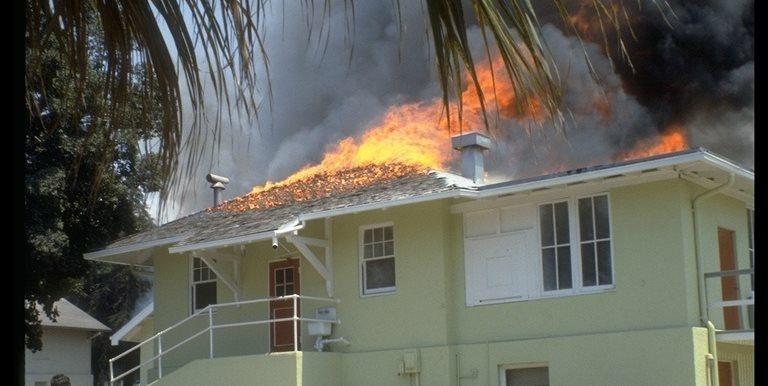 The term "defensible space" applies to area around a house where fire fighters and their equipment can easily battle the flames without undue danger to themselves. Without it they will pass by your house and move on to take a stand in your neighbor's defensible space. In the interface there can be large areas of unmanaged land where fuel builds up to a frightening level. The combination of such fuel can make your home impossible to defend. Utilize local fire codes to encourage adjacent land owners to thin their vegetation so that if it burns it can be held at bay. Otherwise it may literally blow up into a firestorm taking your home with it. During fire events electricity is shut off. This prevents a domestic well from providing water, and community water pressure drops due to demand by fire fighters. 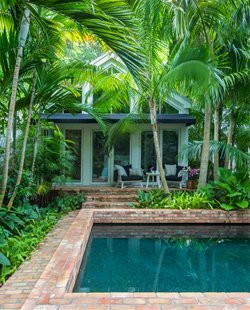 Therefore homes with stored water such as a tank or swimming pool, provides firefighters with an edge. When stored water is combined with a gasoline engine water pump and fire hose provided by the homeowner, your chances of saving the house rise exponentially. Note: Where rural fire response takes time, a system independent of your home electrical supply can easily put out a house fire at any time of year.